Solar Analytics Santa (AKA Nigel Morris) arrived on his sleigh (AKA his all-electric Zero motorcycle) on Tuesday to install the Solar Analytics unit that’s been sitting on my desk for a few months now. 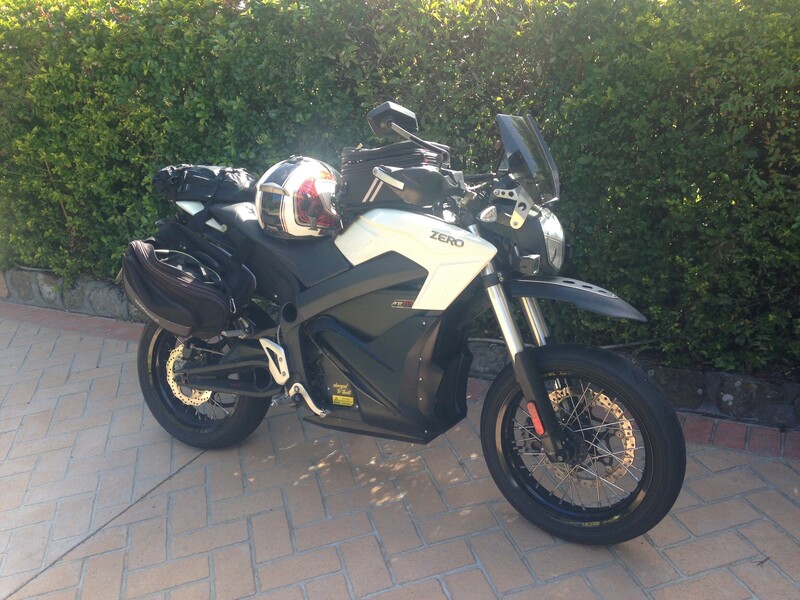 All electric – so I didn’t even notice he had arrived til he knocked on the door. We set the stopwatch as he began (under the supervision of Solar Analytics CTO Brett Bidwell) working his way through the octopus leg tangle that lives behind my mains switches. In the end, it took him about an hour and twenty minutes to get data flowing to my account. This was a bit longer than the 30-40min he anticipated, but as I’ve learned in recent months, my meter box has a knack for thwarting the best laid plans of anyone who attempts to wrangle with it. 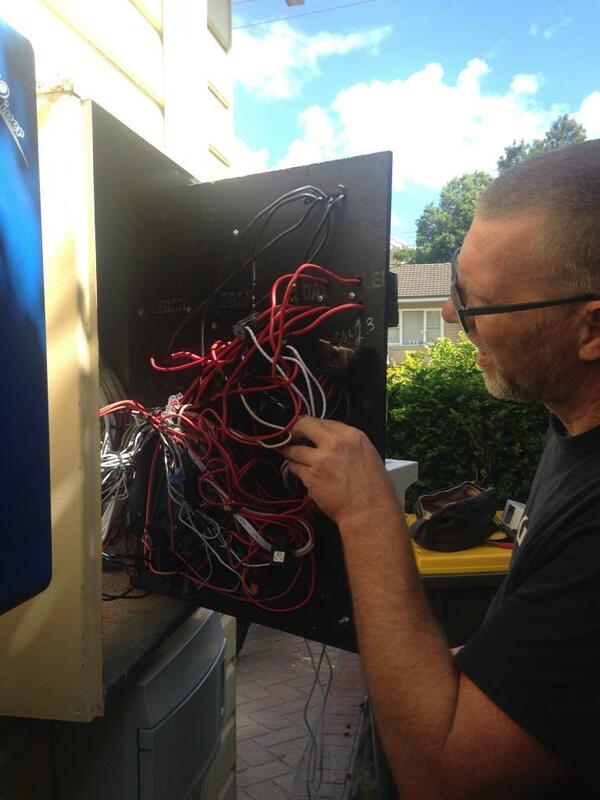 Nigel Morris of Solar Analytics deciphering the labyrinth of wires behind my switchboards. Nigel was keen to emphasise how easy Solar Analytics unit are to install. From what I can tell it was the simplest of the three monitoring systems that I’ve had put in so far. But what really struck me was the size: The unit fits inside the switch enclosure alongside the breakers for most of my household circuits. 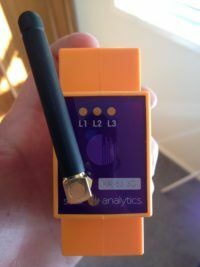 Both carbonTRACK and Reposit needed to sit outside it in their own enclosures. 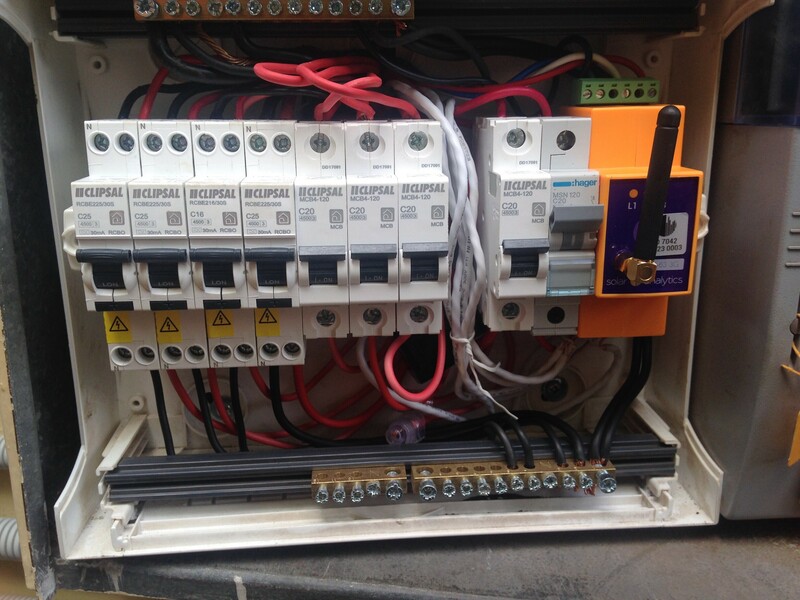 Solar Analytics’ hardware alongside circuit breakers in my meter box. Reposit Power’s Reposit First monitoring hardware in its own enclosure on the wall underneath my meter box. carbonTRACK’s monitoring & control hardware is housed in the two grey enclosures mounted to the wall under my inverters. 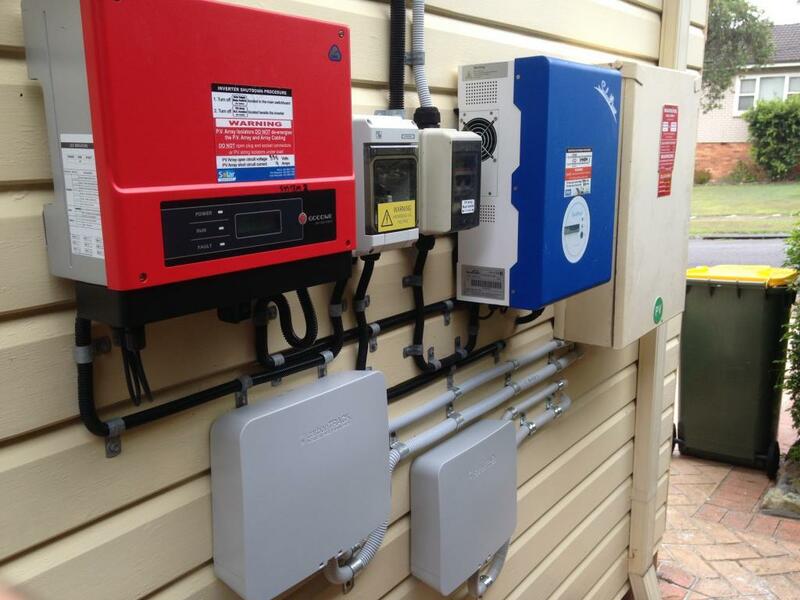 Two units were required due to the fiddly-ness of my meter box & the fact that I have 2 inverters. (N.b. Photo taken before Reposit was installed). I’m waiting until I have all three systems fully up and running before writing in more detail, but here’s what I’ve noticed about Solar Analytics during the few days that it’s been up and running. 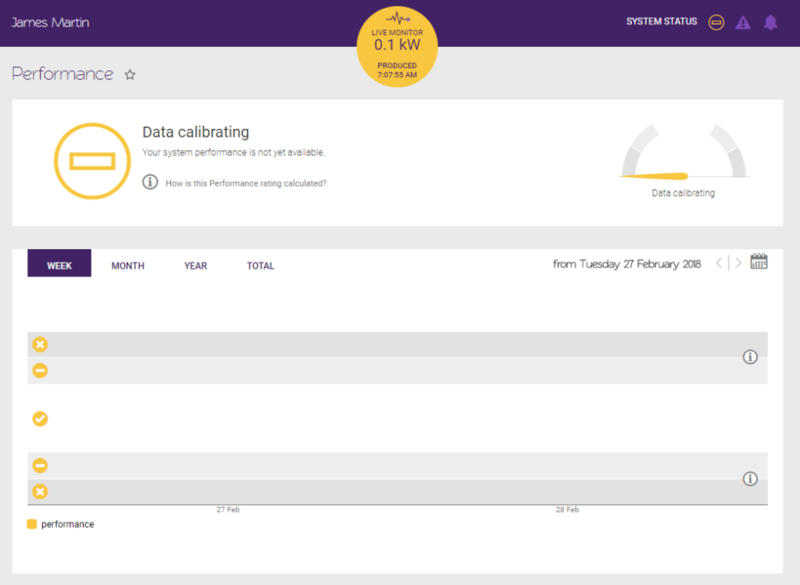 The Solar Analytics ‘home screen’ on the web portal provides a quick overview of my solar system’s generation across the day, plus consumption totals (including where my solar has gone) and system performance assessment (still calibrating). 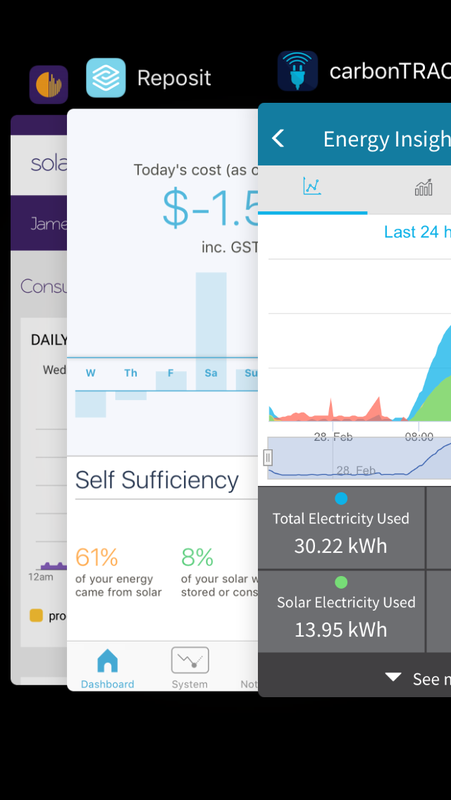 Solar Analytics’ ‘Live Monitor’ lets you see your consumption & production stats for the past hour (updated every 30 seconds). Daily solar production & energy consumption flows in the ‘consumption’ view. Off-peak/Controlled load hot water monitoring as well! Because I have two separate solar inverters, each on a different phase feeding my house (which is on a 3-phase connection) we had one leftover monitoring clamp, which Nigel hooked up to my controlled load / off-peak hot water circuit. This way I can see how much energy we’re drawing to heat our water. One thing that sets Solar Analytics apart from other monitoring systems is its sophisticated system performance assessment algorithm. My Solar Analytics unit is still collecting data, but once it has enough it will be able to tell me – in balance – whether my system is performing as it should be in consideration of factors like local weather, system components and dust buildup. It will even tip me off if it looks like there is a shadow creeping onto my solar panels that is significantly impacting system output. 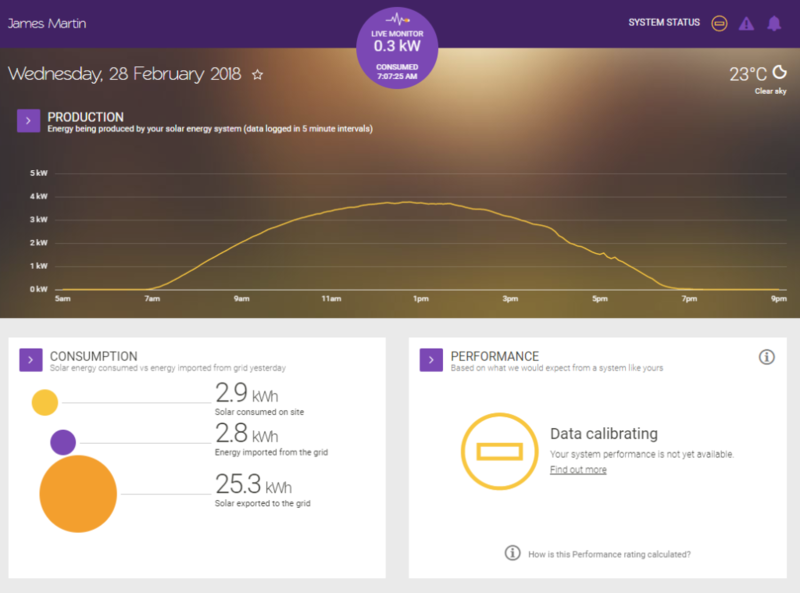 I’m going to wait until I’ve accumulated a few weeks’ worth of data (and until the performance monitoring kicks in) before doing a full write-up on what Solar Analytics is capable of and how it is working for me. 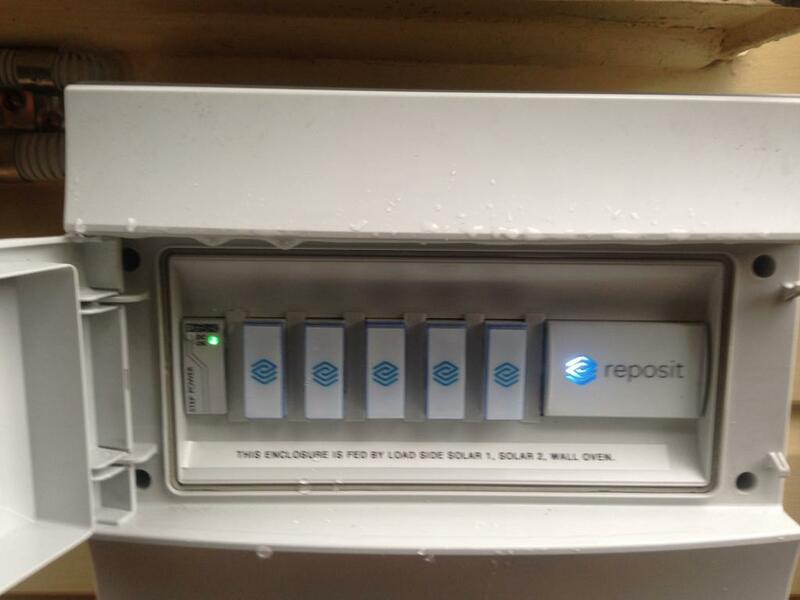 I’ll also be doing full reviews of Reposit First (which is already up and running) and carbonTRACK (which still needs a bit of tweaking before it’s fully operational). All three systems are now installed and sending data!